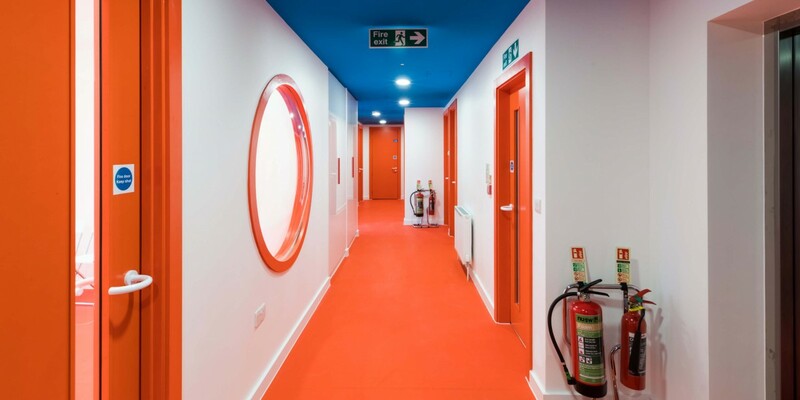 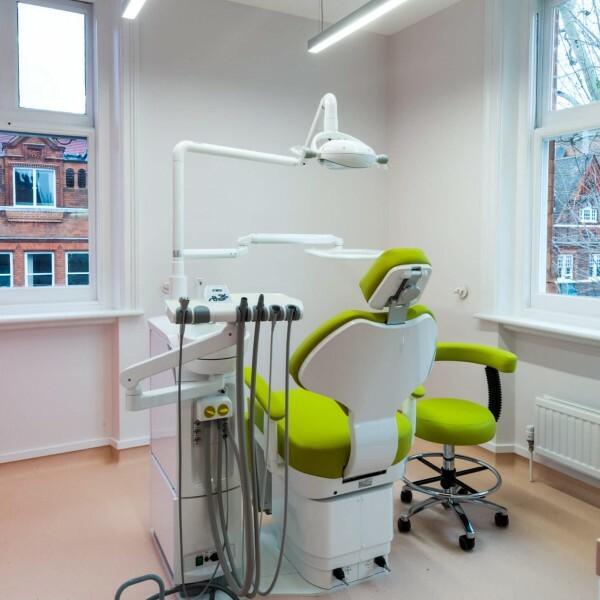 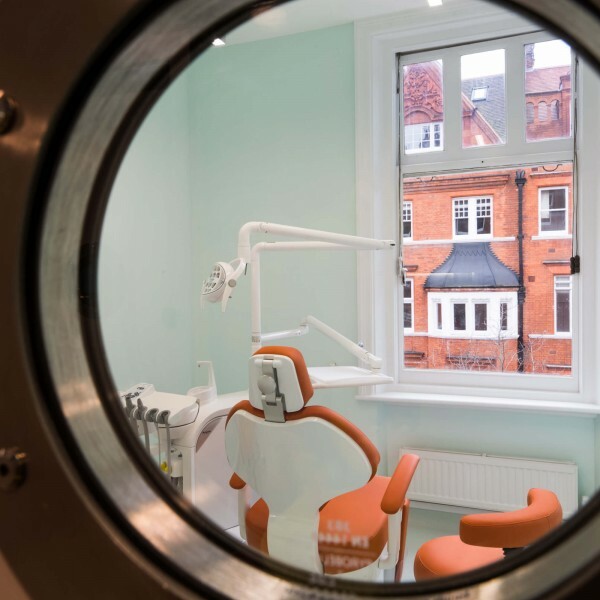 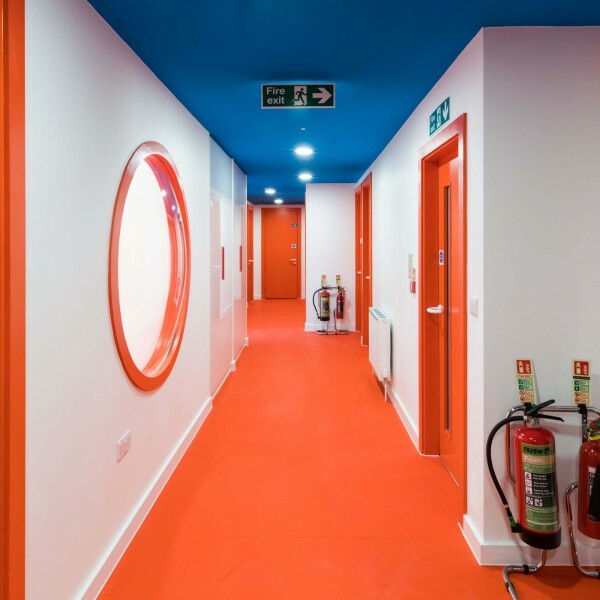 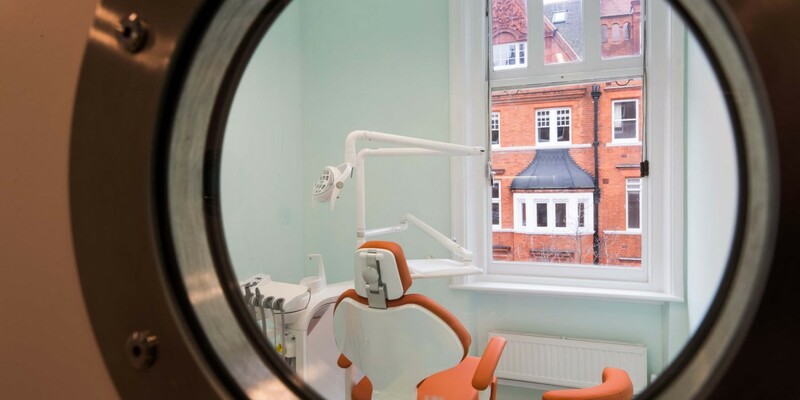 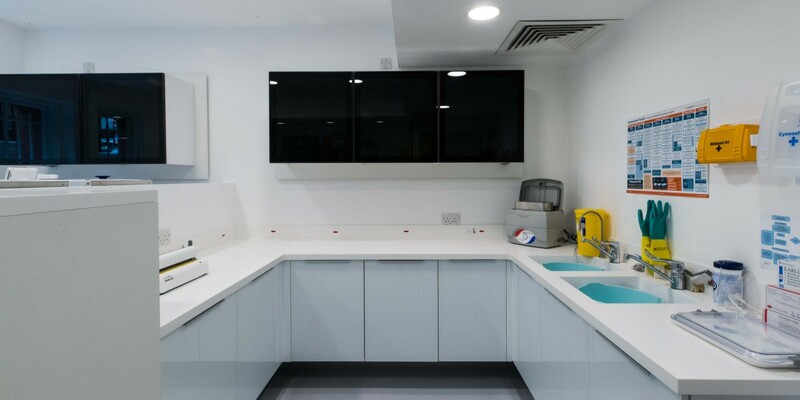 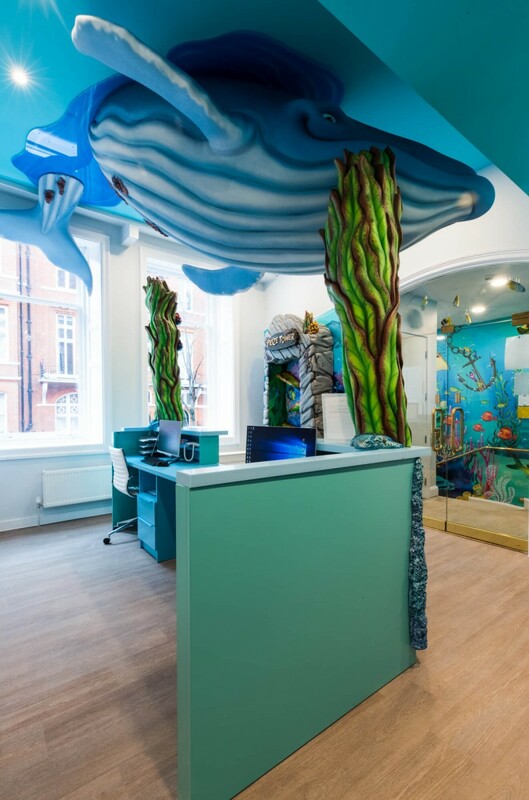 The Apollo Interiors team were commissioned for the fit-out of the Happy Kids paediatric dental practice in Cadogan Gardens, near Sloane Square in Chelsea. 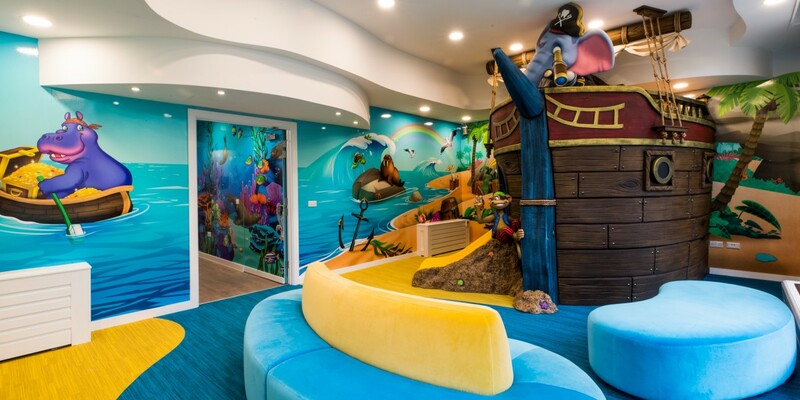 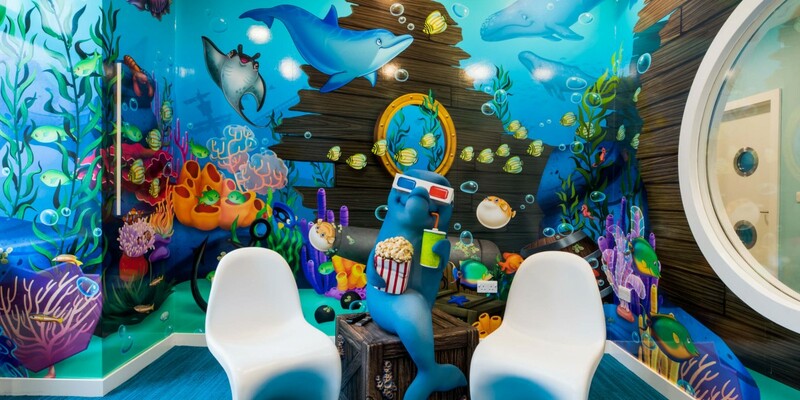 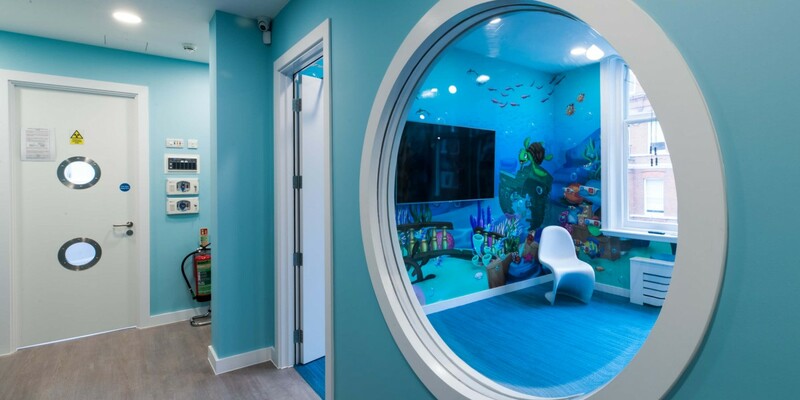 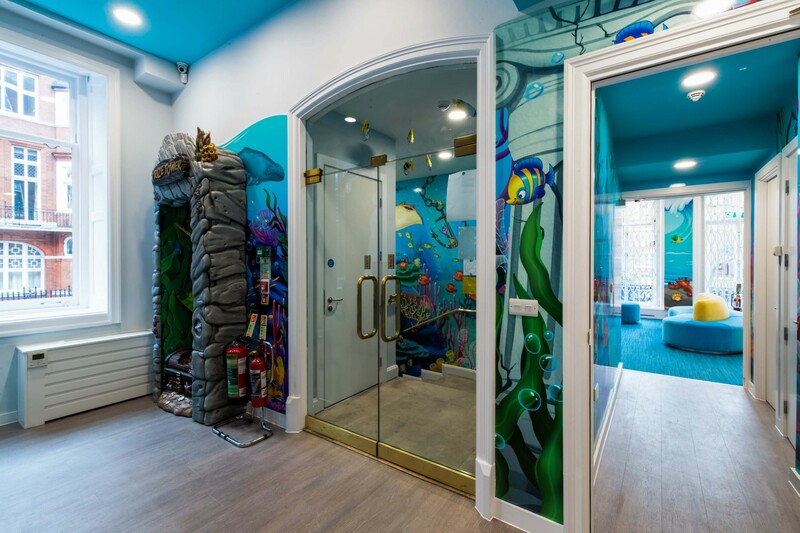 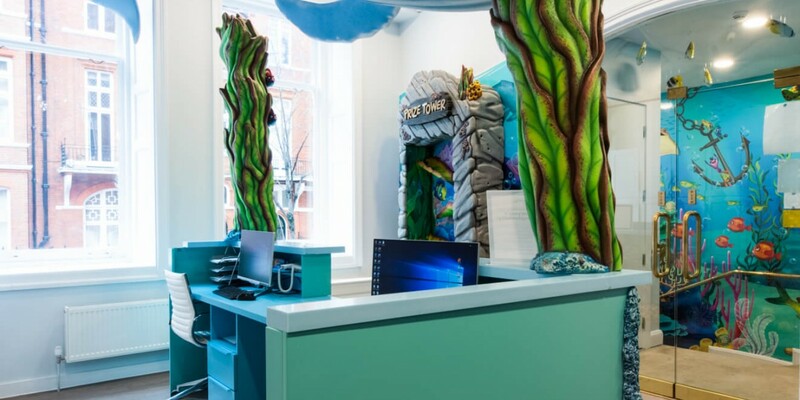 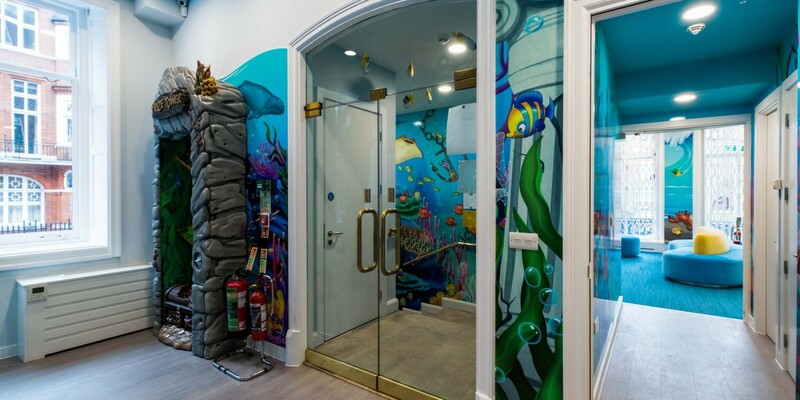 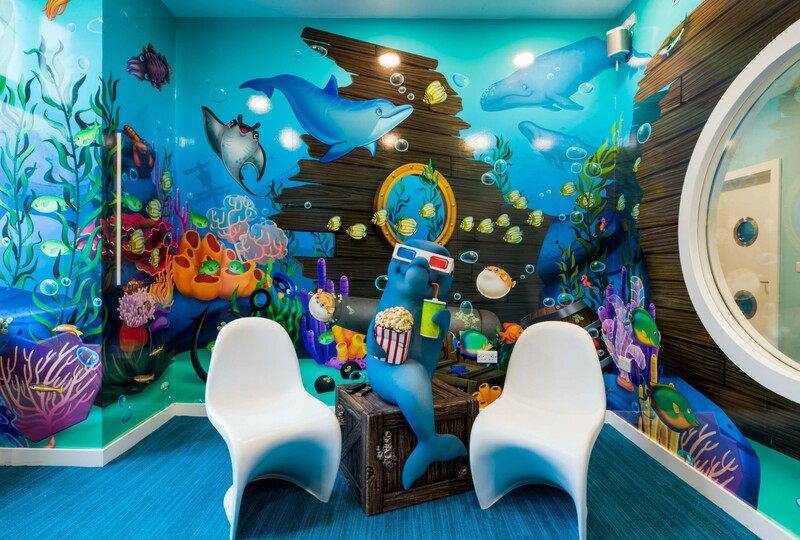 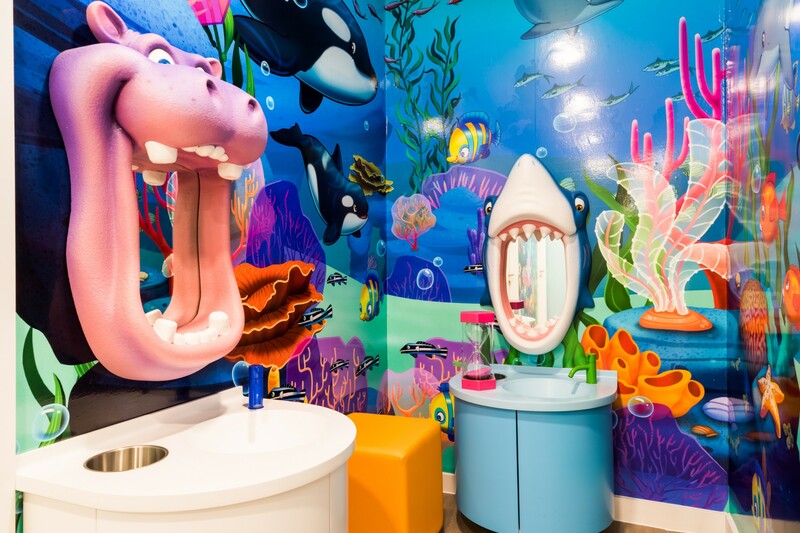 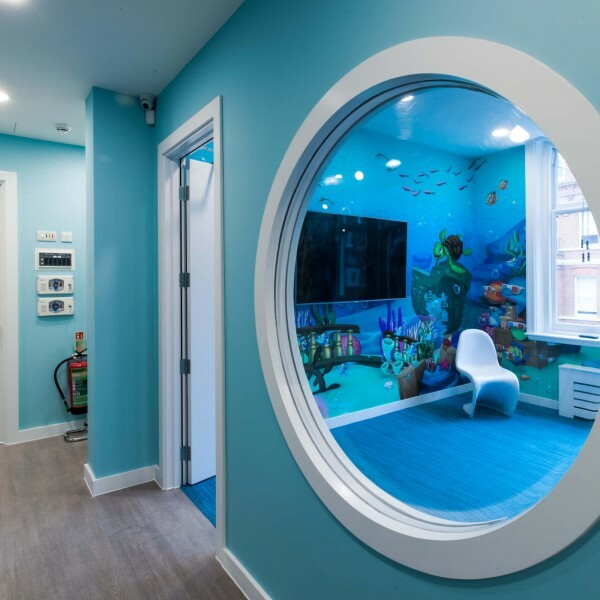 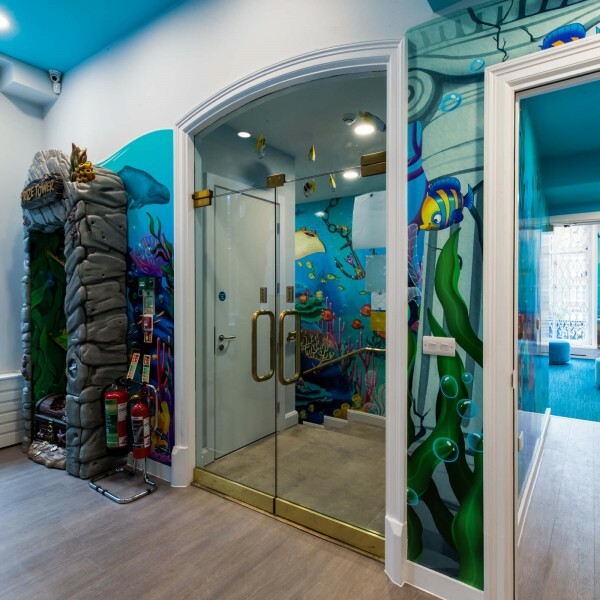 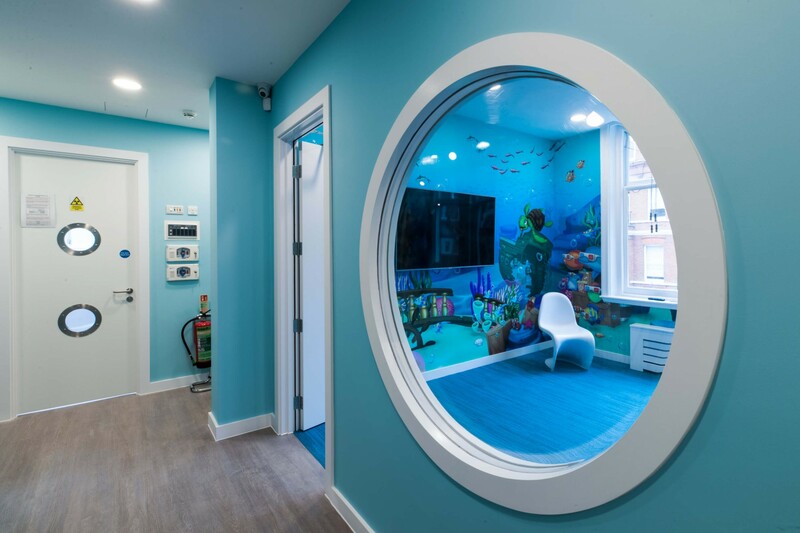 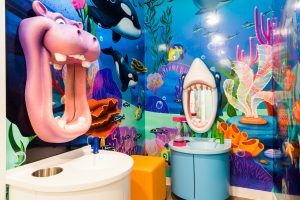 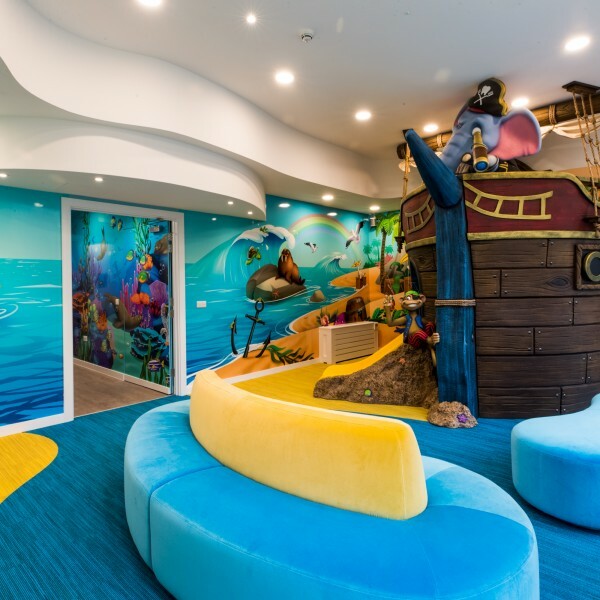 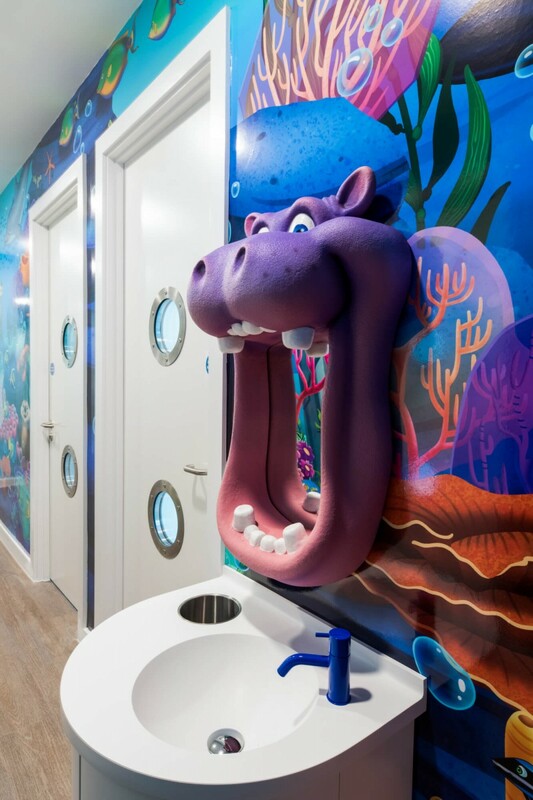 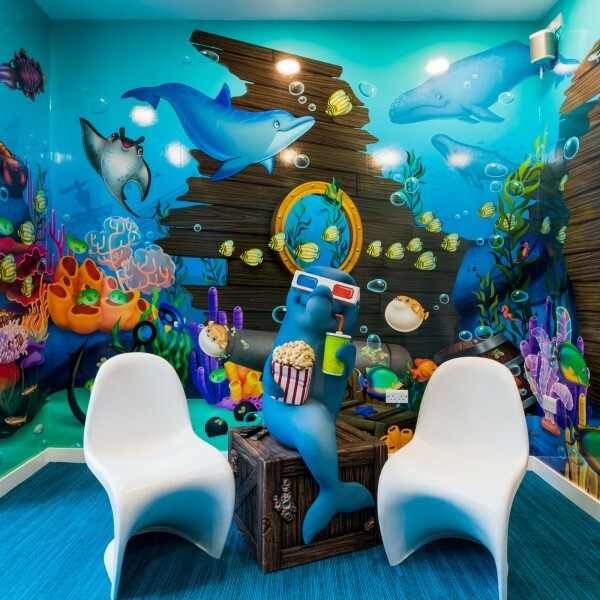 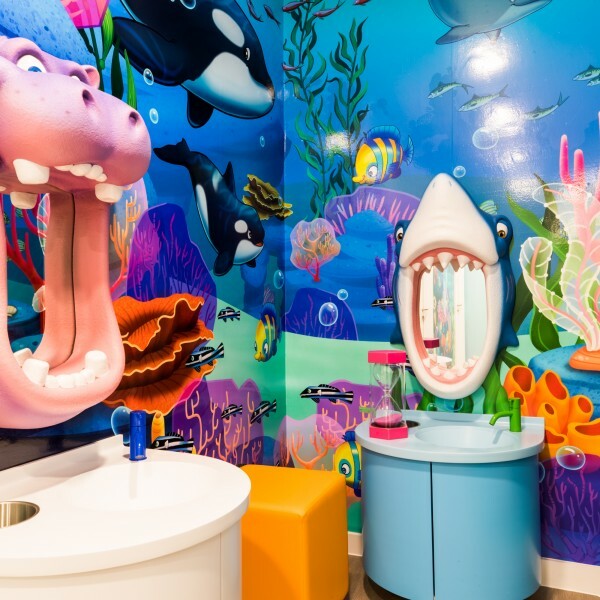 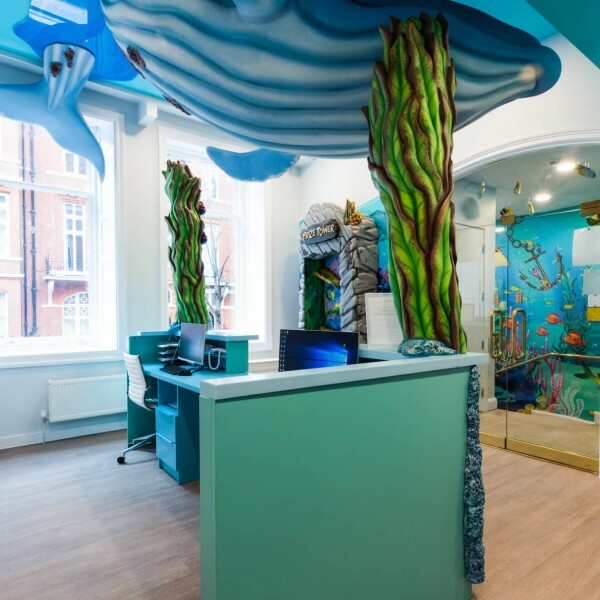 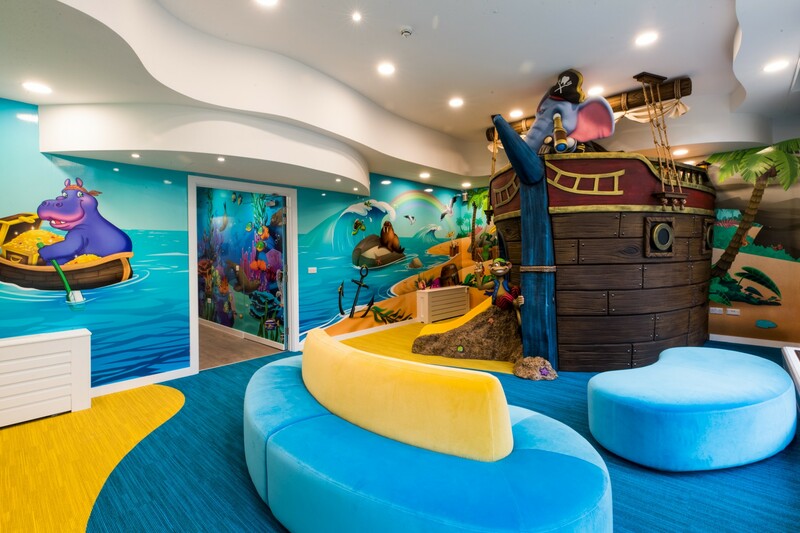 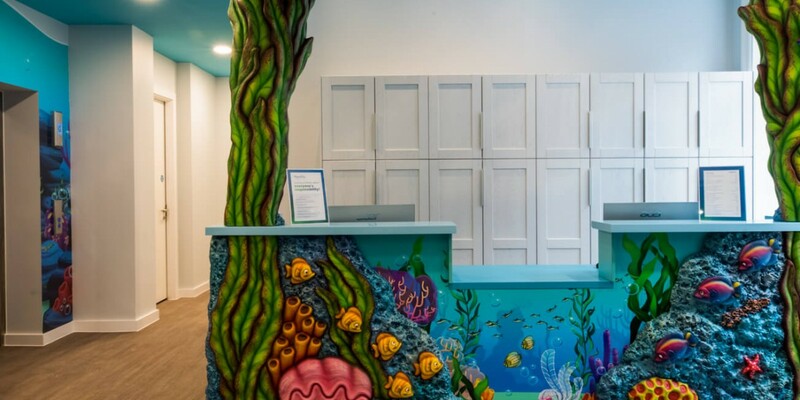 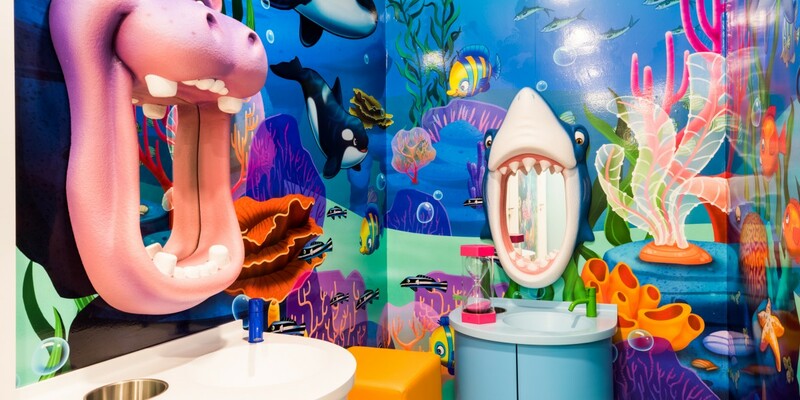 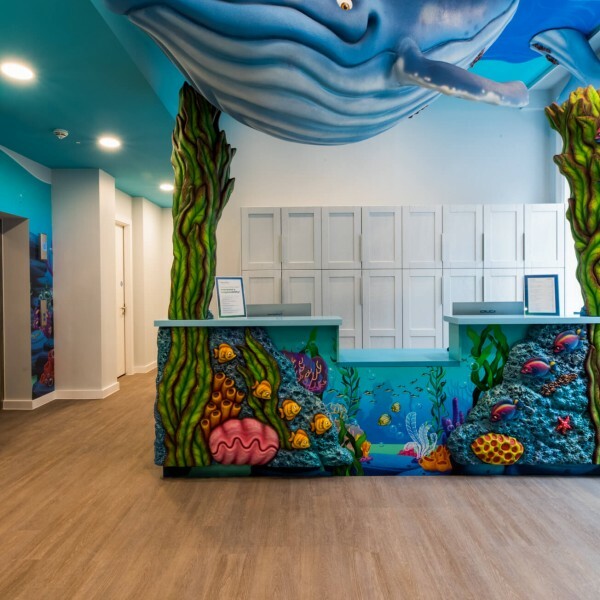 With similar aspirations to the Happy Kids’ jungle themed practice in Marylebone, Apollo worked with Imagination Dental Solutions to introduce a fantastical underwater theme to the six-floor Victorian building. 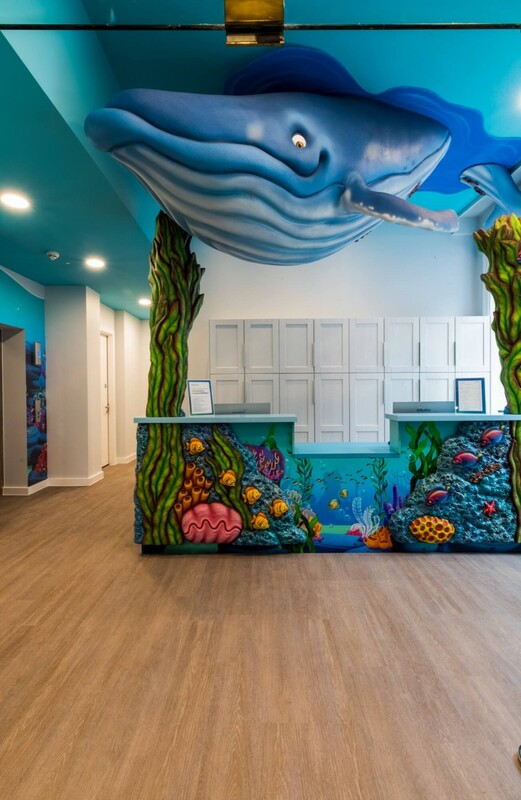 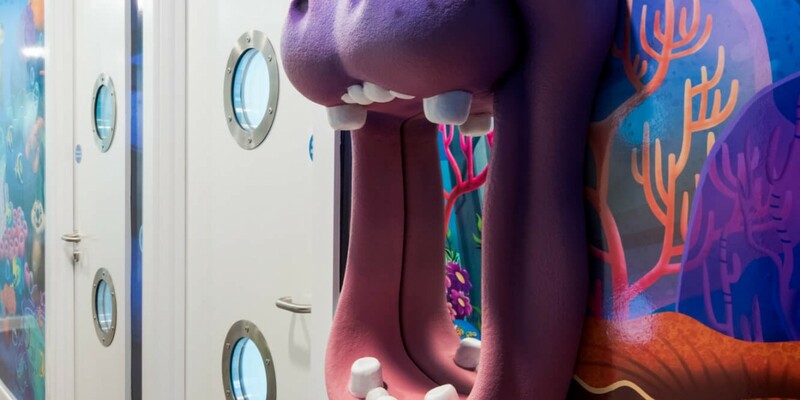 From the huge whale hanging in reception to the pirate ship complete with elephant captain, the fun interior means children are queuing up for a visit to their dentist! 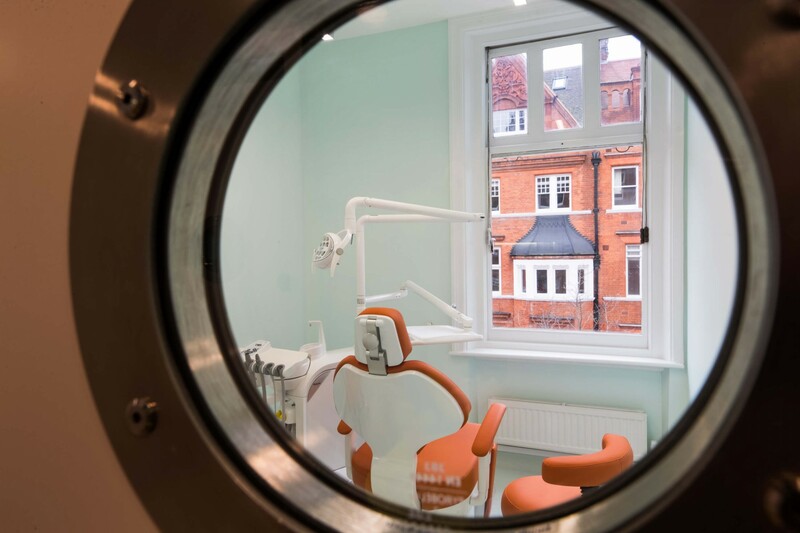 Creating the incredible 28-surgery practice was no mean feat, especially in a period building. The Happy Kids practice has the largest dental equipment plant in the country with one suction pump system serving all 28 treatment rooms. 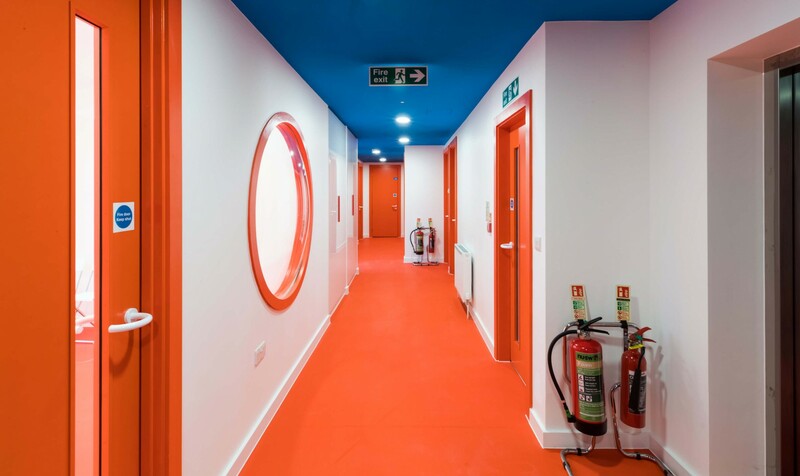 Getting the infrastructure throughout all six floors to work together was our biggest challenge. 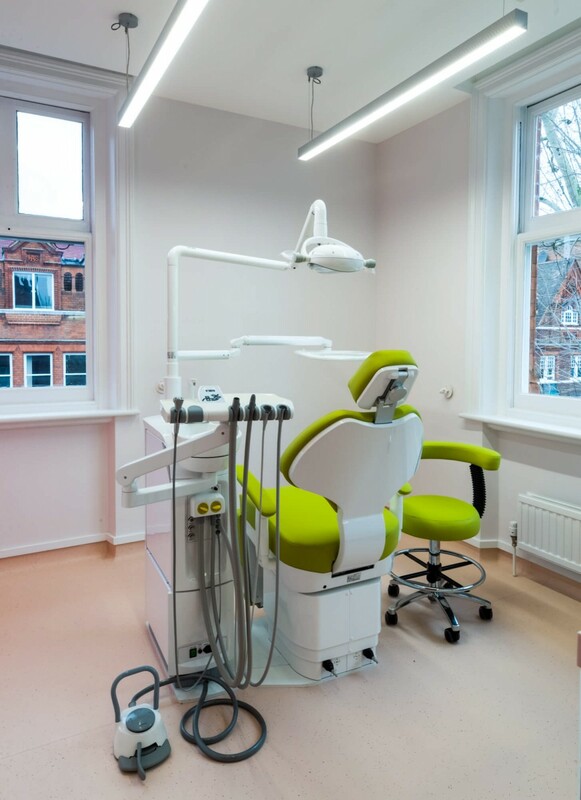 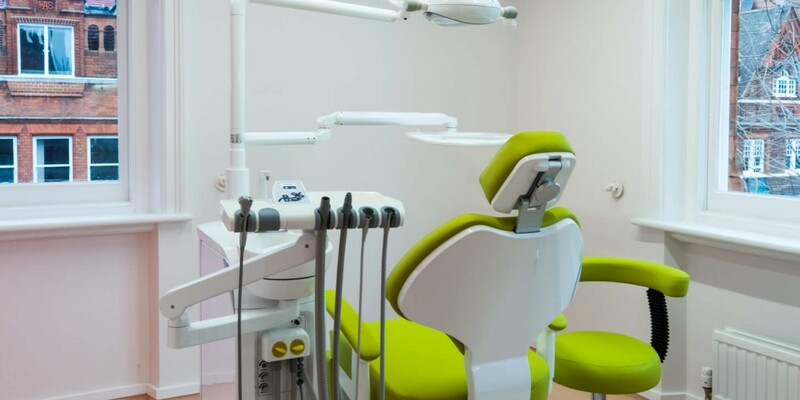 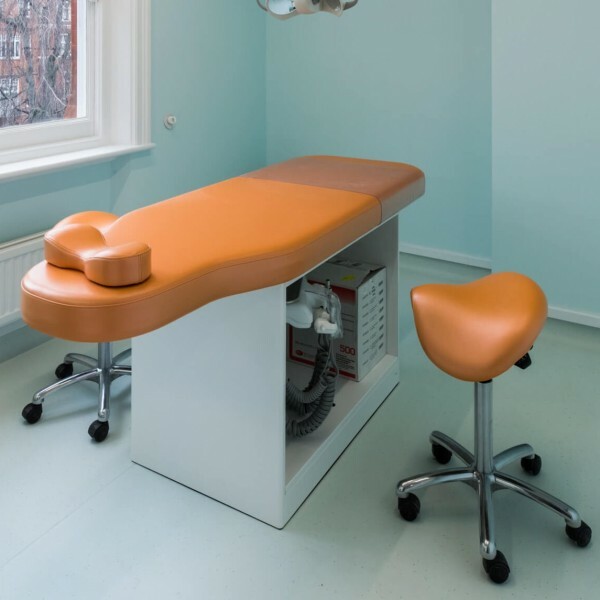 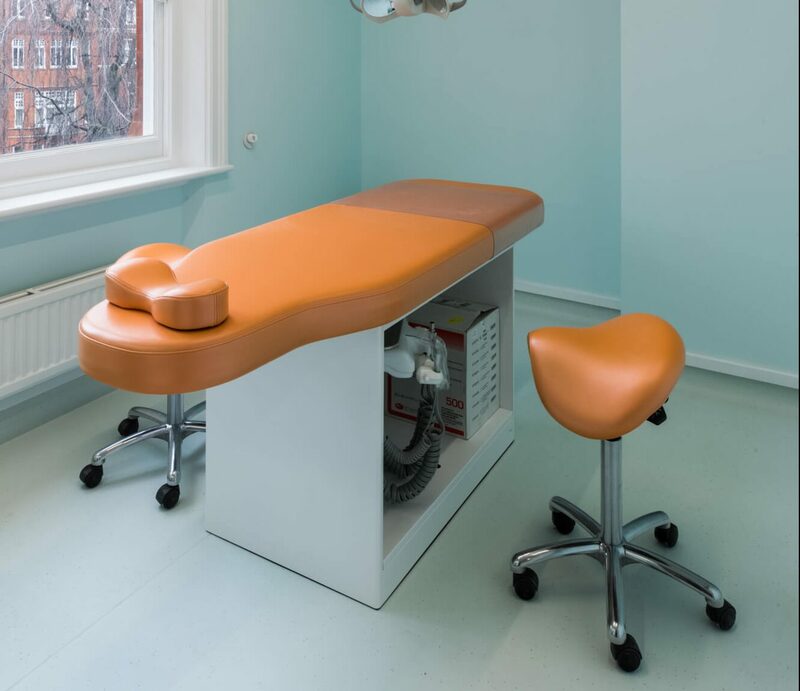 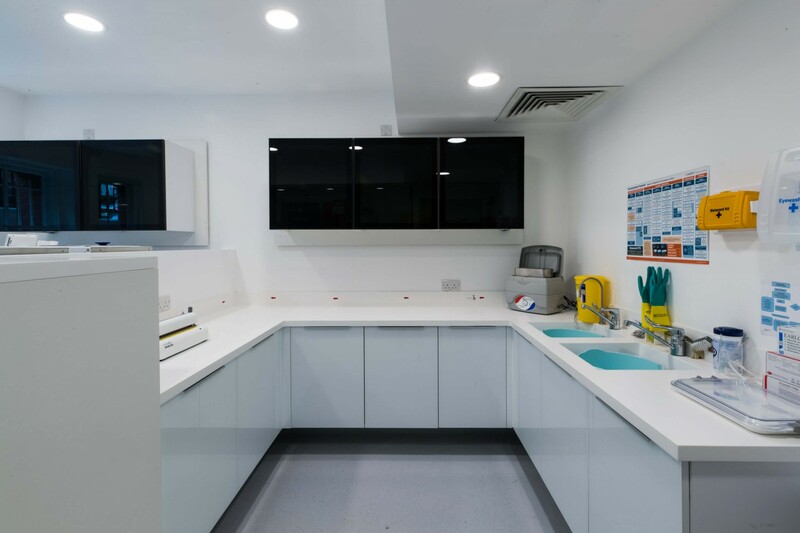 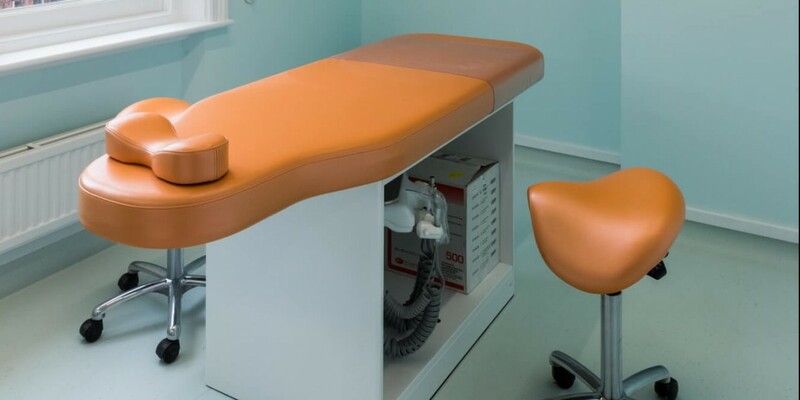 A complex system of pipework and wiring working throughout the building ensures that every dental chair in the 28 treatment rooms has the same level of suction. 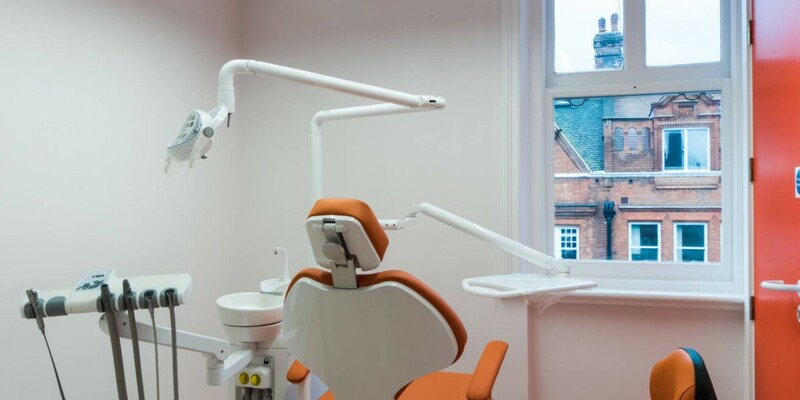 The work was carried out with the specialist help of Simon Hemsted from Henry Schein. The interior was carefully planned to create a different atmosphere on each of the four treatment floors, with separate zones for teens, younger patients and adults. 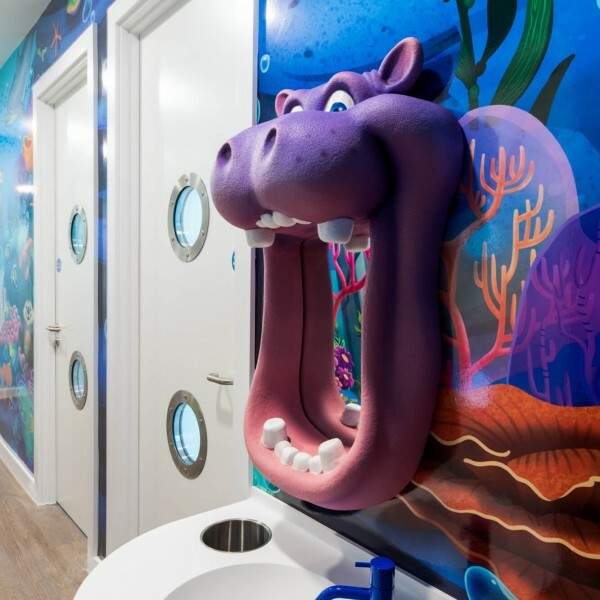 The nautical theme runs throughout, from the fun cartoon-style vinyls on the walls to the ceiling which features wave-like curves and the porthole-style internal windows. 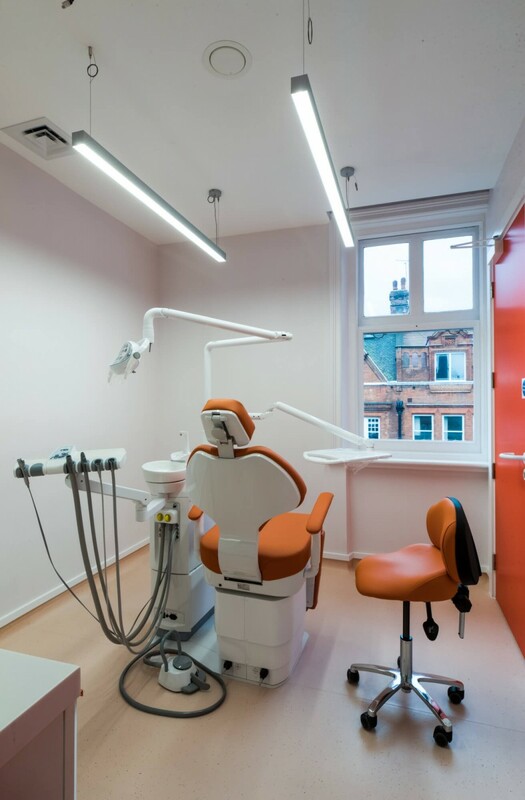 The Apollo team coordinated specialist contractors from as far away as Canada for the murals and sculptures and Poland for all dental cabinetry, as well as many UK specialist companies for the medical gas, dental equipment, IT system, phones, CCTV and security. 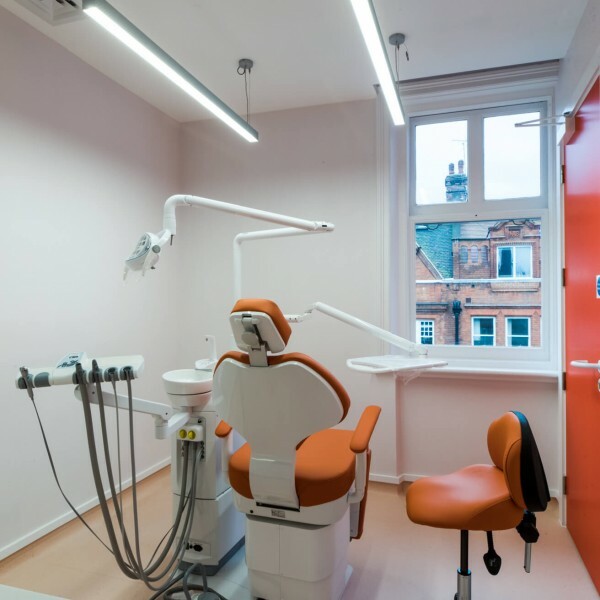 The Happy Kids Dental project started in June 2018, with a large amount of demolition works to carry out before rebuilding could begin. 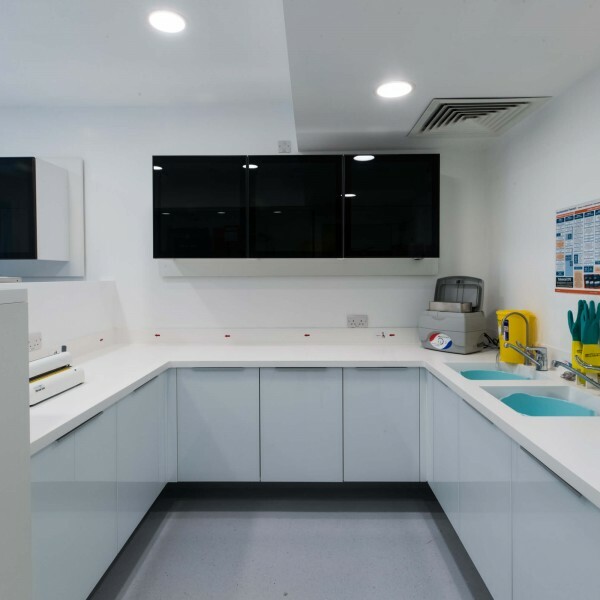 The project was handed over in late January 2019, ready to welcome patients and was signed off by the CQC in early February.